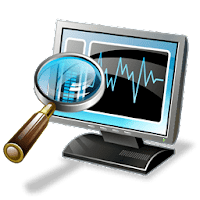 System Explorer is an award-winning, full-featured task manager and process analyzer developed by Mister Group. System Explorer includes many useful tools for exploration and management of system Internals which help you keep your system under control. Additionly, System Explorer also grant you automatic access to online file database which help you to determine unwanted processes or threats. Disclaimer: Direct downloads for the lastest version of System Explorer 7.1.0 are provided by the official software's author, we can't guarantee safety, availability or download speed. Moreover, we don't and we won't provide any pirated/illegal versions or tools. We recommend you to avoid it as these methods can harm your device. If you like the software, buy it to support the developers. (We provide software discounts for many worldwide brands).